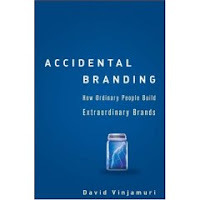 New book with series of interviews with people that 'accidentally' developed their brand. The publisher is giving away a chapter to download, as part of their marketing launch strategy - another example of the Free Love post a couple weeks ago. This chapter is about Gert Boyle of Columbia Sportswear.